It’s so hard to know what to do when you feel overwhelmed by life! These simple things have helped me keep my sanity in seasons of busyness when I felt stressed and overwhelmed. And they can help you stop feeling overwhelmed too! Our life has been wildly full the last couple of years. And while in many senses I thrive on having lots to do, I also don’t enjoy being busy to the point of feeling frazzled and totally stressed out. Because when I become too busy, I start losing that sense of peace and joy that is key to helping me live life well. And then I start feeling irritable, edgy and grumpy, which obviously makes it hard to be a good wife and mom! I’m still learning how to not get totally overwhelmed during the busy seasons of life, but I’ve gradually learned a few things that have definitely helped me stay calmer even when life is wildly busy! No one can do it all. No one. We sometimes like to think we can and it’s easy to look at others and think that they are, but trust me: it’s simply not true! Getting this basic truth settled deep down in the soul of your being is so key to staying sane during busy seasons of life. I used to feel like I should go to every event that I was invited to and say yes to any request that was asked of me. But doing that pretty much guarantees that you’re going to live feeling continually stressed out- at least if you are in a busy season of life. Once I took some time to figure out what my priorities are right now, it really freed me up to have a better idea of what I should focus on doing. It doesn’t always totally solve the dilemma of what I should do, but it has helped immensely. Need help figuring out what your priorities should be? Here are several great resources! What are the top two things that make you feel like you had a successful day if they get accomplished? What absolutely drives you nuts if it doesn’t get done? Make those things a priority every day. That way, if you feel like you did nothing else, you’ll still be able to feel some measure of success! For instance, I like to do my laundry throughout the week. So, getting at least one load of laundry done each day is a relatively easy way to make me feel like I accomplished something! 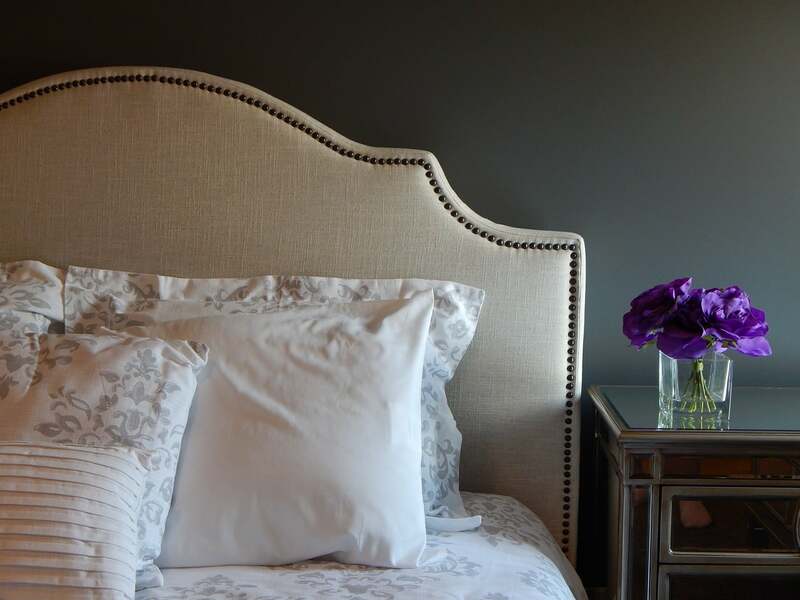 I have also discovered that if I do the simple thing of making my bed, I immediately feel more at peace because that one easy task makes our bedroom look more neat and tidy. This is often a hard one, but if you want to stay sane in our fast paced world, learning to say no to requests that you simply don’t have the time or energy to do is a must. And remember what I said about priorities? Well, knowing what yours are, makes saying no a lot easier! There’s a good chance that some people won’t understand why you need to cut things from your schedule and say no. That’s okay! Prepare yourself for their questions and be gracious when answering them. At the same time, you’re going to probably need to accept the fact that you’ll likely frequently be misunderstood. For myself, it helps if I can remember that while I’m responsible to care for those around me and engage in their lives, I’m ultimately more responsible to care for the needs of my own family. So, if I’m saying no to a request because it means that I’ll be able to be a happier, more engaged mom and wife, then it helps me be okay with any criticism that I receive. Rather, I’m talking about times where you find yourself continually saying yes to things out of guilt or because you feel like you should do them, even though you know it’s going to make you feel stressed in unhealthy ways. Simply letting things go a bit, can be so freeing! My husband sometimes jokes with me that the world isn’t going to end if a certain thing doesn’t get done. And that is so true! Life will go on, and sometimes we need to intentionally relax about things in order to keep from being overwhelmed and stressed. As a bit of a perfectionist, learning to be okay with imperfection hasn’t been easy for me. I’m someone who loves having a clean house and I immediately feel more restful when things are cleaned up. But I’m slowly discovering that it’s okay if my house doesn’t get cleaned thoroughly every week. A quick round with the duster and vacuum will still make things feel less dirty on those weeks that I simply don’t have time to do a better job. And as much as I hate waking up to dishes in the sink, I’ve learned that sometimes it’s more important to spend quality time with my family or get a decent night’s sleep instead of getting that pile of dishes washed up. Because, really, life truly will go on. Turning to God always has a calming effect on me. And the neat thing about praying is that you can do it anytime, anywhere! What do you do to keep your sanity when life is overwhelming? Are you ready to learn how to better manage the time you have? 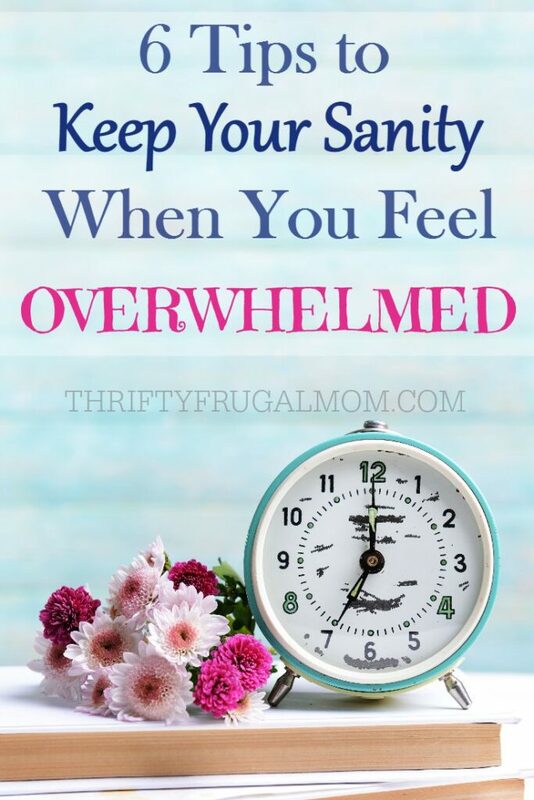 Learn how to organize your time and sign up for 3 Strategies to Stop Feeling Overwhelmed! This was really good, and very applicable to my life right now. I really need to focus more on #3 because so many times I did so much that I never even got to my to-do list yet it feels like nothing got done because I couldn't cross something off the list. It's the worst feeling! #5 is also a real challenge because I'm at my best and most productive when my environment is in order, and that's a rarity some days. Sometimes I think, "Well, if the Lord returns tonight it won't matter if that gets cleaned or done anyway!" Yes, it took me a long time to figure out that #3 helped me feel a lot more sane! In fact, I've been known to put things like "get dressed", "make dinner" and other predictable things on my to-do list just so I can feel like I'm actually accomplishing something. It's kind of a mind game, but it really does help the morale. :) And an ordered environment is something I'm constantly working on! Sometimes I think that if we didn't have any kids in the house it would be a piece of cake, but the truth is, it didn't always even happen back in the days before we had kids. Your "if the Lord returns" comment made me laugh. So true...and really, it does give a good perspective too! Well said, Lydia! I've been struggling with this off and on the past couple months, and have to remind myself to give myself grace. And today? After church and lunch, while my 17 month old nap napped, I climbed into bed for a nap too. When I'm behind on sleep, everything else seems more overwhelming, so even though things didn't get "done", I feel better for having rested. I'm constantly working at getting better at doing them regularly too, Heather! I know they help, but I still fall off the bandwagon occasionally. And I know what you mean about prayer. It's kind of easy to think of it as one of those "last resort" things, instead of using it to stay connected to Jesus throughout my day. Saying no is the hardest one for me. I'm working on it. Practice makes perfect, right? Exactly, Kristy! And it really does get easier the more you do it. Oh, I totally understand the thing of feeling like you need permission to not do it all! Sometimes it's just so helpful to know that others are setting limits and being intentional- kind of gives the inspiration I need to give myself some grace and slow down a little bit. I am really enjoying your blog. I know it will help me out tremendously. You are a blessing! I enjoyed our conversation today and I'm looking forward to our next. Bless you and thank you for helping me lighten the load of the every day and reminding me to be thankful. Thanks, Michelle! You are so kind. :) And yes, it was so fun meeting you today and connecting! It was such a day brightener.